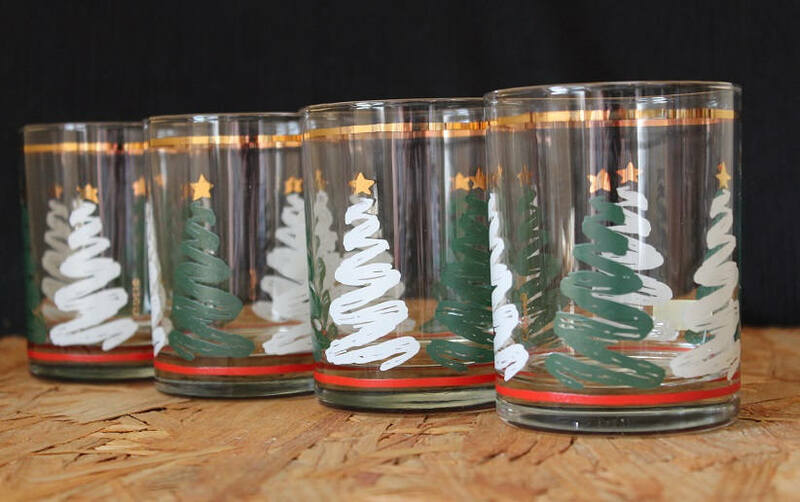 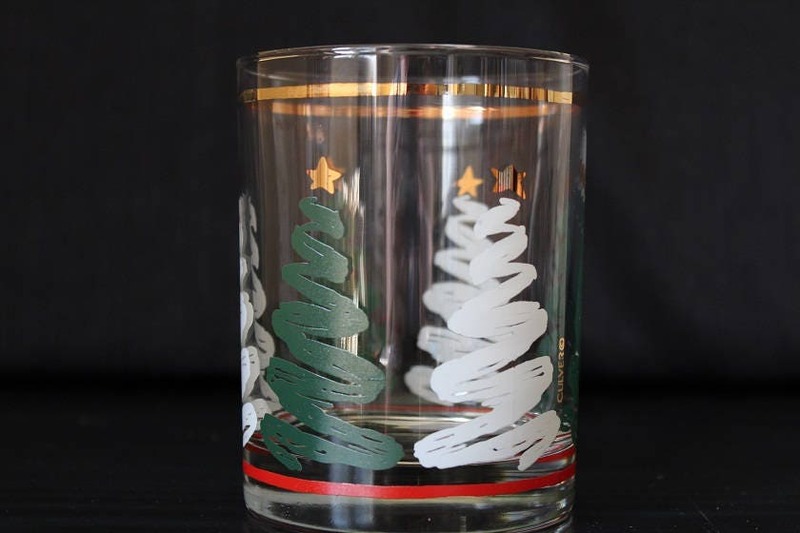 Cheers to a stylish holiday with this set of four Culver double old fashioned glasses featuring alternating green and white squiggle-line Christmas trees circling around the glass. 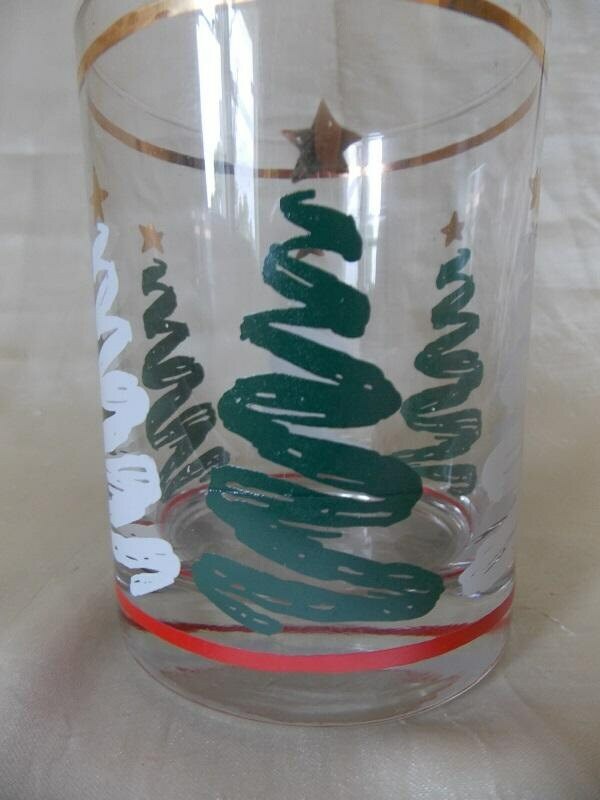 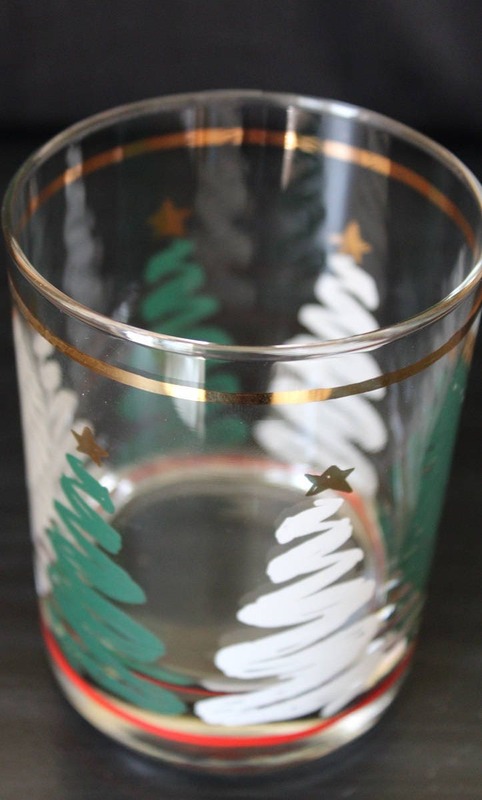 This design is hand silk screened against clear glass accented with 22k gold trim Christmas stars at the top of the trees and a gold line at the rim. 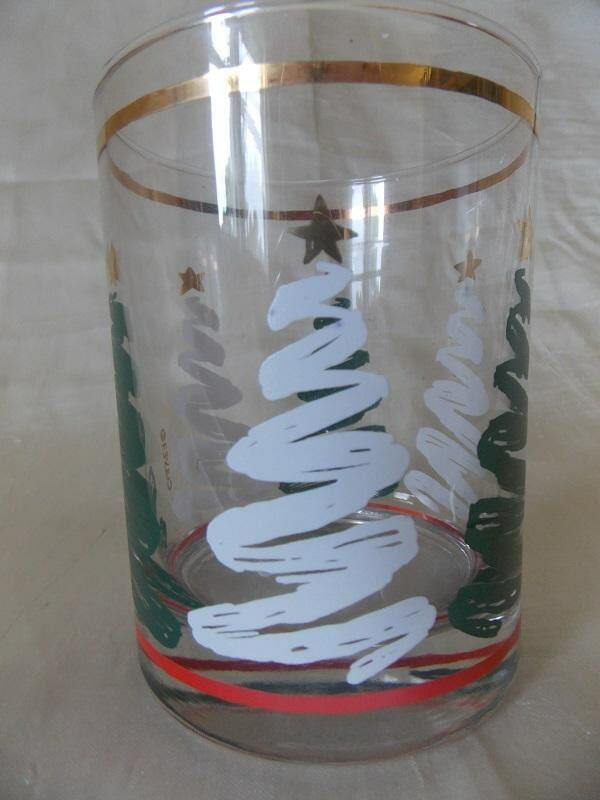 There is also a red line circling around the base. 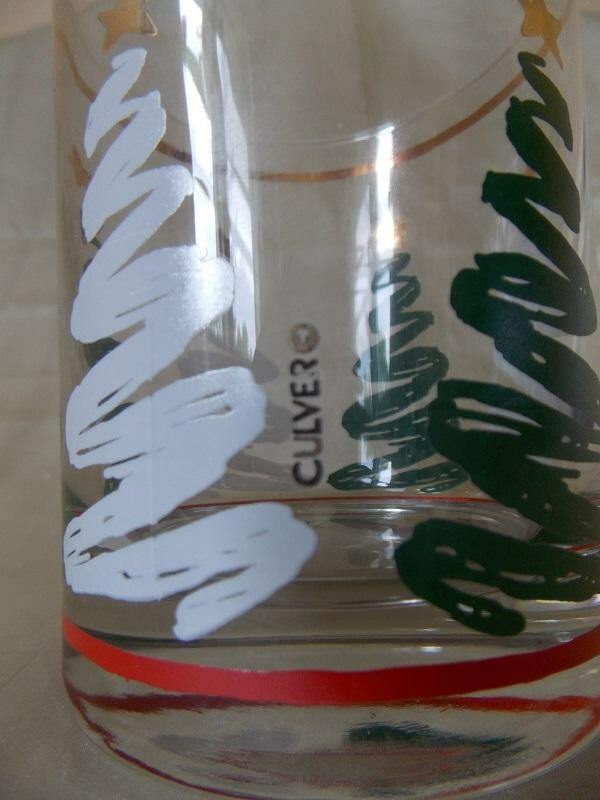 These glasses are signed "Culver" and come in the original box.